Actor/writer/director John Krasinski’s latest film The Hollars will open the 2016 Independent Film Festival Boston, which runs from April 27-May 4 this year. Most screenings will be held at the Somerville Theatre in Somerville and the Brattle Theatre in Cambridge, with select screenings at Coolidge Corner Theatre in Brookline and on the UMass Boston campus. For the second year in a row (and maybe the third), documentaries outnumber narratives almost two to one. While I have no problem with docs, I am also noticing more than a few narrative titles that I think would have likely been sure-fire bets for IFFB a couple of years back are missing from the announced lineup. Of the wish list of fifteen titles I posted two weeks ago, only two made it in – Ira Sachs’ latest critically acclaimed film Little Men and one of our favorite docmasters’ latest effort, director Ian Cheney’s Bluespace. Among other familiar titles this year are some of this year’s Sundance favorites, such as Hunt For The Wilderpeople, Morris From America, Weiner, and Kate Plays Christine, plus a few titles from the other January fests as well as several from South By SouthWest. 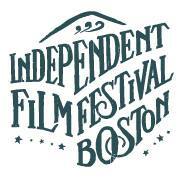 We’ll have daily coverage of IFFB beginning April 27, with daily schedules and commentary. We’ll also have a count-up to the festival featuring a few of the films we think are worth taking a look at, and commentary on the festival itself as it rolls through it’s eight day schedule. THE HOLLARS , directed by John Krasinski . THE INTERVENTION , directed by Clea DuVall . Check out the IFFB’s website for full schedules and ticket info in the days ahead – you can also become a member and get a whole host of extra perks throughout the year – as a member myself, I can say they are definitely worth it. Info can be found at http://iffboston.org. We’ll see you all at IFFB 2016!